doing content marketing and still haven’t tapped into the power of Reddit, then you are truly missing out. So I kept going. I would like to share with you 3 tricks that are currently working for me that I haven’t seen any marketers using. According to their 2013 stats report, you can easily see why marketers love Reddit. It gains a lot of traffic, active users who share stories and click on articles, and is basically a juggernaut for posting content and luring visitors to your articles. Reddit is a social bookmarks platform, that anyone can post content to and up or downvote content. E.G., if you already have the proper content, it can go popular without working too hard on it. Instead of writing a long intro about what Reddit is, this video says it all. You should know that Reddit hates marketers, unless they give real value and are an active part of the community who give real value. With that being said, you shouldn’t leave it out of your next digital campaign. This post doesn’t intend to cover the basics, so if you want to learn the basics for Reddit marketing you can check Blue Mountain Media’s quite extensive Reddit marketing guide, or this shorter and more basic Mashable guide, or the Social Media Examiner’s guide. To get a lot of traffic through Reddit you will need to have a mixture of great content, gain initial exposure and publish to the right sub-Reddit. In this post I want to share with you 3 hacks that will make it easier for you to publish content and go big on Reddit with the best ROI for your marketing time and resources. 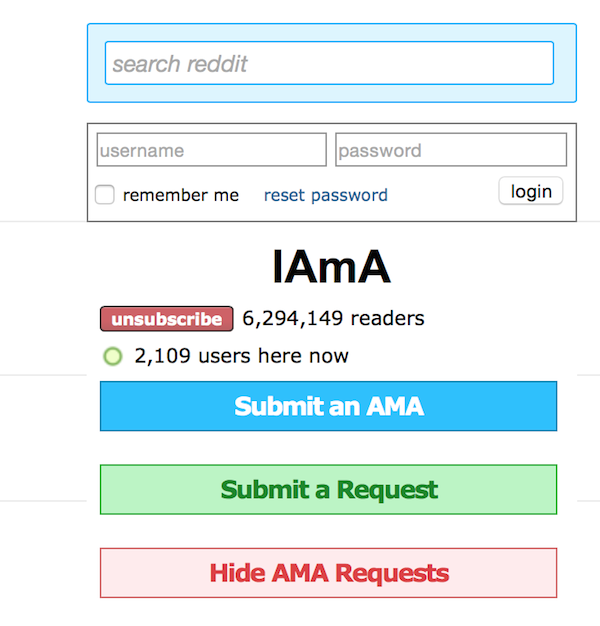 In the past few months, Reddit’s AMA (Ask Me Anything) sub-Reddit got pretty huge. As mentioned by Ryan Holiday, a good Reddit’s AMA session “can generate hundreds of thousands of impressions and drive fans into frenzy. It can reinvigorate an established persona or hoist a completely obscure or unusual person into the Internet spotlight”. What is an AMA? Holiday explains: “It’s a thread of questions within Reddit, hosted by an interesting person. The Reddit community responds with the type of honest, earnest and provoking questions that would rarely show up in your typical media interview. Anyone can participate, from the host to the casual Reddit user to the fans who simply upvote questions. ” While the AMA has become famous for its celebrity hosts, it works pretty well for the regular marketers looking to generate awareness, leads and traffic – if they’re willing to answer questions and be really helpful. Lior Frenkel, Co-founder of The NuSchool, an initiative that helps designers become better freelancers, submitted his own AMA a few days ago and got some amazing results. While submitting the offer to ask him anything in an off time hour, he got almost instantly dozens of questions and comments for other Redditers, without even promoting the AMA at all. Write an informative eye catching description of who you are in the title. For example: “I’m Roy Povarchik, a growth hacker who helps startups get their first 1M users. Ask me anything”.If you have a strong social proof such as: “I’m Kevin Systrome, CEO and founder of Instagram. Ask me anything”, it will also play to your advantage. Make it very clear why should anyone care about you, how you can benefit them and who can benefit from you experience. Write a short and to the point bio. Provide a proof that you are who you say you are, having real expertise and value. You can put in a link to a photo of you in a conference next to your name tag or to your personal blog, or startup’s site. It needs to be very clear that you are who you say you are. Lior’s proof wasn’t sufficient at the beginning and Reddit took off his AMA thread until he fixed it. So it is super important. When’s the best time to conduct an iAMA? When it comes to live interaction online, timing is everything. You don’t want to start your AMA when there’s nobody there to interact with, right? Luckily, there’s a tool for that. 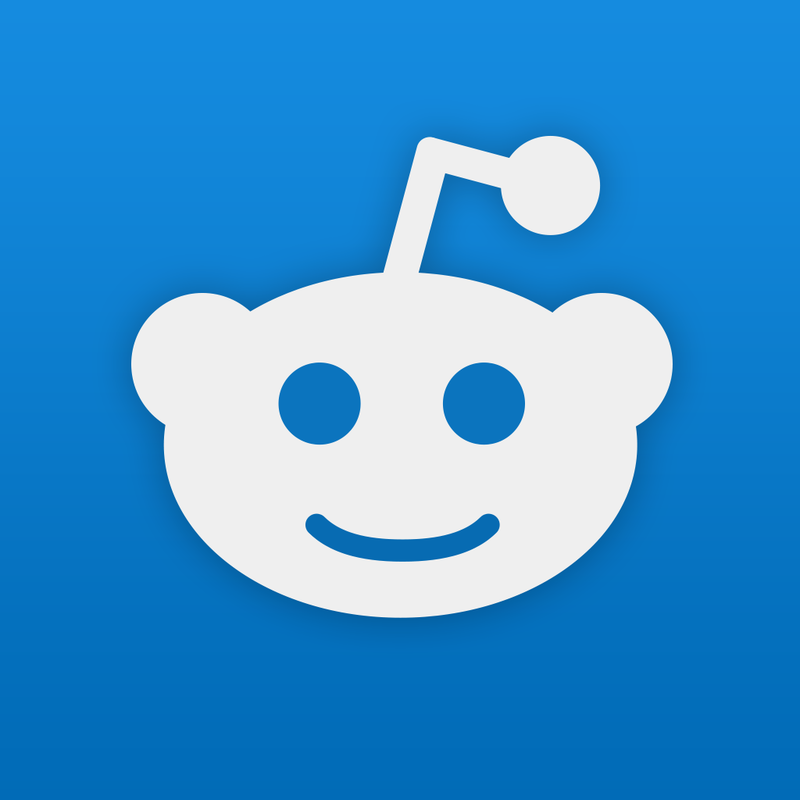 RedditLater is a free service that lets you schedule a link to be posted to Reddit at a later time. It also has highly useful features that track the most active times by sub-Reddit. For example, if you look for the iAMA sub-Reddit, you will notice that Thursday noontime is when best to post your AMA thread. See what times work the best for you, go to Reddit, fill the details for your AMA and start engaging. 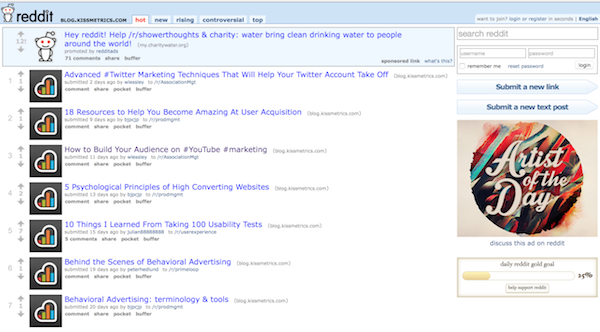 We already established that timing is a very important element for Reddit marketing success. Timing is not only to know what the hour is, but also to recognize when to post to trending relevant sub-Reddits. When a sub-Reddit is trending, it means that it will probably get more traffic than an optimized time on a non-trending sub-Reddit. Hence, you shouldn’t look only for the best times to post a certain category, but also track which categories are the best ones to post, based on their trending status. 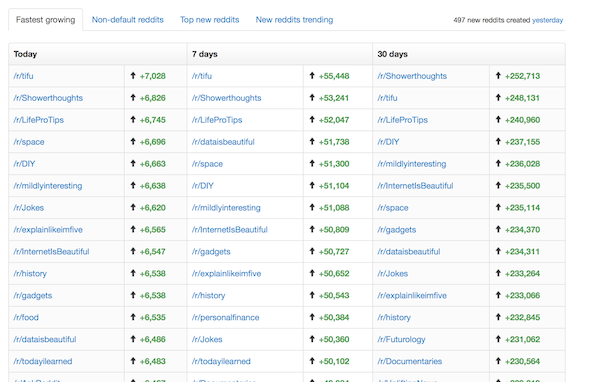 RedditMetrics offer you a list of trending sub-Reddits which you can also filter by assuring their relevance to your niche. Simply go to RedditMetrics, see which sub-Reddits are trending, and check if they are relevant to your article. If they are, post them there, and if not, you can also go to the search field at the top-right to analyze and track other sub-Reddits you know will work for you. This is where the next trick comes in handy. As a Reddit marketer, you should already know that the most important part of posting content to the website, beside its sheer value, is choosing the right sub-Reddit for your content. Posting your content to the wrong sub-Reddit means you can forget about meaningful engagement and traffic. So what is the best way to choose the right sub-Reddit when posting new content? Most marketers will tell you to search through the different sub-Reddits to find one that is relevant which engages a lot of material. The concept itself isn’t bad, and yet, it counts as an educated guess. About two weeks ago, while speaking at a Google campus event, I heard Takipi’s Iris Shoor share a great trick on how to find what sub-Reddits work well for websites that shared similar content. Step 1: Choose a blog/domain that talks about similar topics and shares the same target audience you intend to reach. Step 3: Look for posts that are relevant to your topic which preformed well, and check what sub-Reddit they were submitted to. Pretty simple, isn’t it? Just remember, every topic has a different sub-Reddit that will work well for it. Be careful to choose an article similar to yours and not just whatever sub-Reddit that ranked high. Reddit can be a golden unicorn for your content, but it can also function as its bottomless pit. Make sure you apply to Reddit’s marketing rules, and you’ll be fine. Post to the right sub-Reddit. Do you have any insights from your Reddit’s marketing? Share it in the comments.